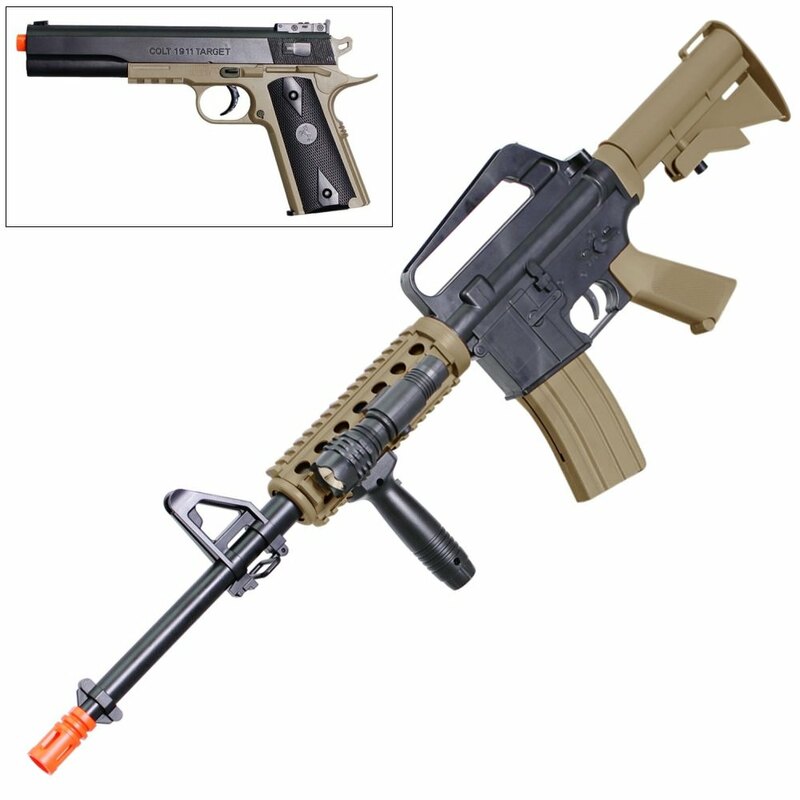 The Colt® M4 RIS Airsoft Rifle and 1911 Airsoft Pistol Kit contains 2 airsoft guns that are modeled after military arms. 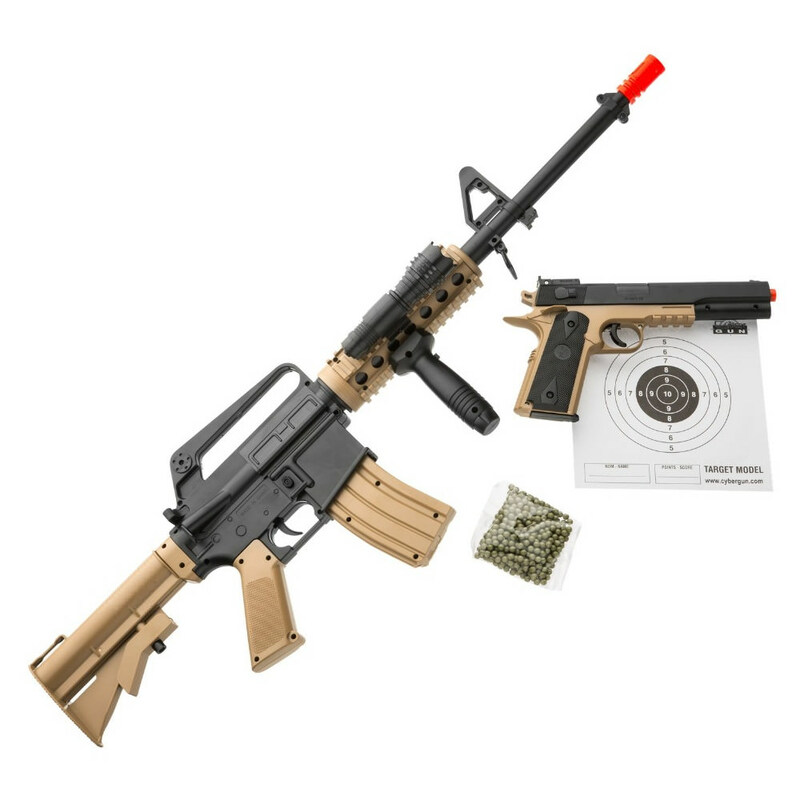 The Colt® M4 RIS Airsoft Rifle and 1911 Airsoft Pistol Kit contains 2 airsoft guns that are modeled after military arms. The M4 RSI airsoft rifle looks like the real deal with a collapsible buttstock, A2 and carry handle sights, a tactical fore-end that features an integrated Rail Interface System (RIS) which a vertical grip and flashlight are mounted. 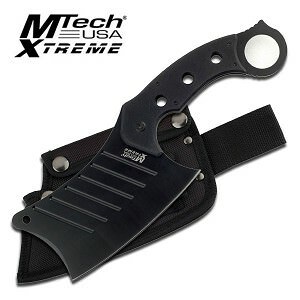 The rifle uses spring-power to propel 6mm airsoft BBs at up to 300 fps. The magazine holds 300 BBs. The spring-powered 1911 airsoft pistol propels 6mm airsoft BBs at up to 210 fps. The magazine holds 12 BBs.